It’s lovely when your character evolves under your very “writing pen.” Making a List of his or her traits can deepen the process. Sometimes listing vivid physical descriptions, passions old and new, peeves, grudges and talents can trigger new ideas about the person you are creating, even as you jot them down. Making character lists can evoke inner valleys and hills that may not even appear in the story. But they may deepen your overall perception of how your character experiences his or her life. Keep the items on your list brief! Otherwise you might as well write a paragraph. I really get to know my characters with my lists. In school together with Grammy Apple when they were children. When they grew up he asked her to marry him. She loved him like a brother and married someone else. He never got over her. Terrified people will find out and laugh at him because of his age. I am adding and crossing out on this list and others as I write. In daydreams and on the page. I love my lists. 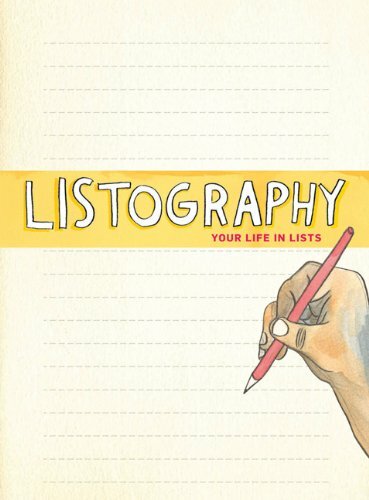 This journal is meant as a means to organize an autobiography. But I think it can be used to explore character traits in your fictional character as well. Thanks Denise! Grumpy old Cap’n Hatch would love you. He’s a teddy bear underneath. Cynthia, your site is so helpful in so many ways. You cover a lot of ground, both in genres and ideas. Becuase I’m starting a second book, I’m eager to start my lists. THANKS!